This post has expired! It was posted more than 244 days ago. The research fellow will define the project herself or himself, in dialogue with a prospective host and within the following outlines. • methods for simulation of systems in which the dynamics on small temporal or spatial scales have determining effects on the dynamics on large scales and in which full simulation on the small scale level will be computationally out of reach. • algorithms for efficient simulation of multilevel systems in which patterns are formed that will operate as ‘unit’ and interact with other such ‘units’. • the integration of work on several scales, as for instance in application of particle-based simulation software developed for problems in molecular dynamics on problems on far larger scales, will certainly be possible as well. In all cases the project should be part of the overall effort in furthering scientific understanding of the phenomenon of life in the universe. • advanced numerical software platforms for mutual use within the various scientific approaches of the phenomenon of life in the universe. Projects targeting other objectives linked to one or more of the challenges addressed by the Origins Center, e.g. predicting the behaviour of multiscale systems, steering and controlling network dynamical systems, computing critical transitions and emergent behaviour in natural systems, will certainly be possible as well. • good written and oral knowledge of English. 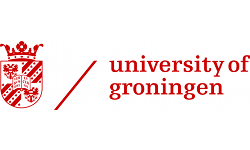 The University of Groningen offers a first-year gross salary ranging from € 3,173 (scale 10.4 according to the Collective Labour Agreement, see: https://www.labouragreementuniversities.nl/ of the Dutch Universities or a largely similar other collective labour agreement) up to € 3,545 per month (scale 10.7), holiday and end-of-year reimbursements, and inclusion in a pension scheme, on the base of a fixed-term full time contract. The duration of the appointment is two years. Secondments, for short periods during the project, to other Dutch universities or research institutes can be considered. Secondary employment conditions may vary between the research institutes and universities participating in the Origins Center, but will normally include further training facilities, career counselling for partners and, if needed, assistance with establishment in the Netherlands. In some host institutes, candidates may not occupy postdoc positions for more than six years overall, and no more than four years with one employer. The preferred starting date is 1 January 2019 or soon afterwards. You may apply for this position until 23 September 23:59h / before 24 September 2018 Dutch local time by means of the application form (click on "Apply" below on the advertisement on the university website). 4. two letters of reference (extra attachment 2). Applications lacking one or more of these items will not be considered. Applications submitted later or in other ways will not be considered. We aim to complete the selection process before 1 November 2018. A list of prospective hosting research groups is included on the Origins Center’s website (www.origins-center.nl/1151-2/), with contact details for each host. Candidates are requested to discuss their draft research statement with leading scientists (also indicated) from groups which research interests and approaches match their own. The candidate is free to suggest another hosting group within the Netherlands, provided that the research statement has been discussed with the group leader before submitting the application. Both the project and the hosting research group should be clearly identified in the application. Specific questions on the projects can be discussed with prospective hosts, whose email addresses are indicated on the Origins Center’s website www.origins-center.nl/1151-2/. Unsolicited marketing will not be appreciated. Faculty of Science and Engineering The vacancy relates to a two-year postdoctoral research fellow position for a candidate with a strong background in computational science, mathematics or informatics. The position has been defined within the first stage of a Dutch national research effort aimed, in the long term, at understanding the origins of life and life-bearing planets, predicting evolution, building and steering life from molecule to biosphere, and searching for extraterrestrial life. Coordinated by the Origins Center, see: https://www.origins-center.nl/ researchers from 19 Dutch universities and research institutes and from many scientific disciplines cooperate in this effort. 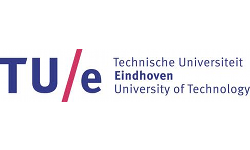 The recruited fellow will, jointly with one or more research groups in the Netherlands, define and execute a two-year research project that should both advance methods in computational science, mathematics or informatics and be linked to other projects in the Origins Center portfolio. She or he will thereby be centrally involved in advanced and multidisciplinary research of great scientific and public interest.